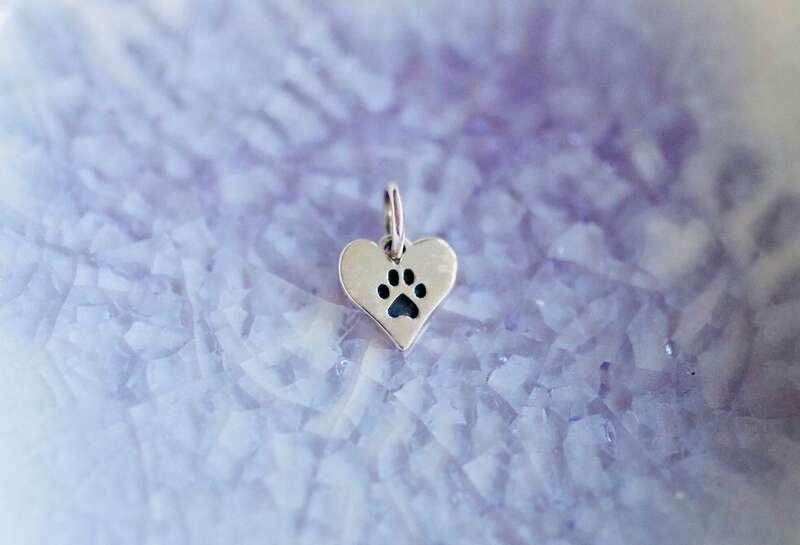 Sterling Silver Heart with Paw Print Charm. Adorned with a cute cut out paw print, this heart charm shows our love for the puppy and dog friends in our lives. Celebrate your special pups! Add to one of our charm bracelets or necklaces to make something perfectly yours! Don't forget to add a personalized charm to the mix! Check out some of our charm necklace and bracelet bases - and we have so many more! Very cute charms. I am pleased.